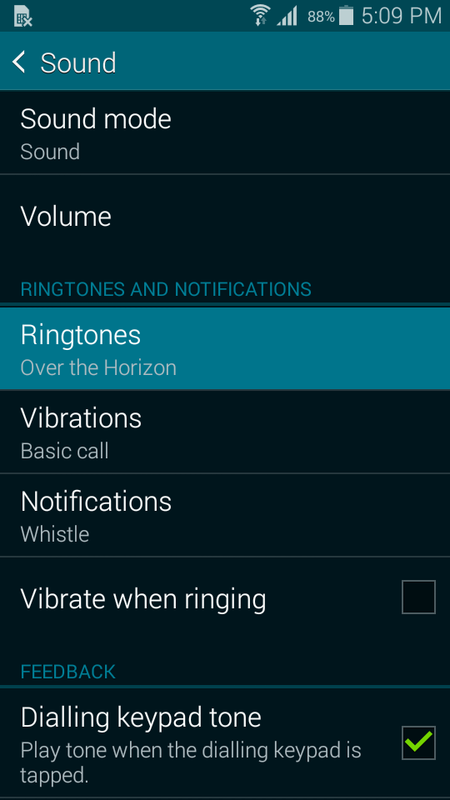 Galaxy Core: How Do I set a music file as a ringtone on my device? To set the music file as a ringtone, from the Home screen, touch Apps > Settings > Sound . Touch Ringtones, and then touch Add at the bottom of the screen. Select the music file you want to use, and touch Done to set the ringtone. To assign a personal ringtone to a contact on your mobile device, open the Contacts application. Select the desired contact and touch Edit > Ringtone. You can select one of the preloaded ringtones by touching it in the list and touching OK, or add a personal ringtone from the sounds stored on your device by touching Add. Select the music file you want to use, and touch Done to set the ringtone. How Do I hide my number when making outgoing calls on my Samsung Galaxy K Zoom?